Port au Prince, Haiti, April 12, 2010.The last large 'blanket food distribution' by WFP in the large IDP camp near Cité Soleil. In the future, food distributions will be targeted to specific target groups. 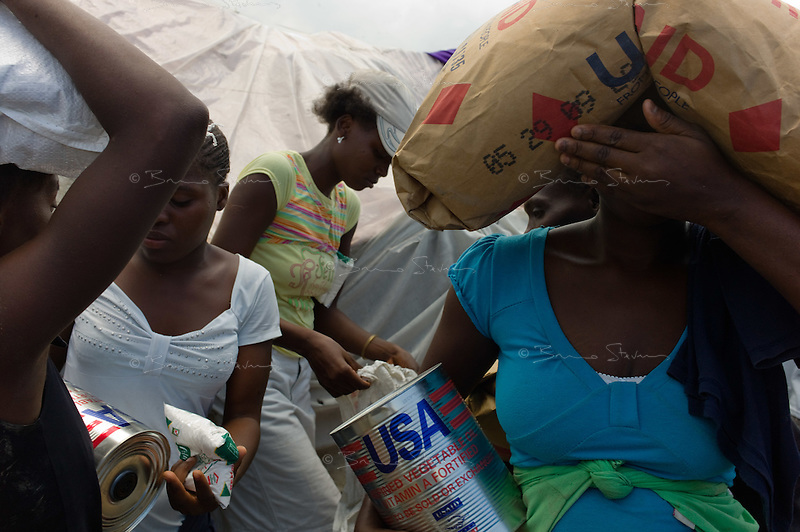 The 3 months anniversary of the earthquake, as the rainy season arrives making life conditions for 2 millions homeless Haitians miserable.